The All Blacks star sat down with British Muslim convert John Fontain in the wake of the March 15th mosque attacks. He spoke about what the religion means to him, how he has struggled with acceptance in society, the toll the Christchurch attack has taken on his family and how special it was to have his mum Lee accept the Islamic faith alongside him. All Black Sonny Bill Williams is opening up over his faith, in the aftermath of the Christchurch terror attack. “I grew up as a Christian, and to be honest, I always felt a little bit uncomfortable – not about the message, but the environment,” he said. 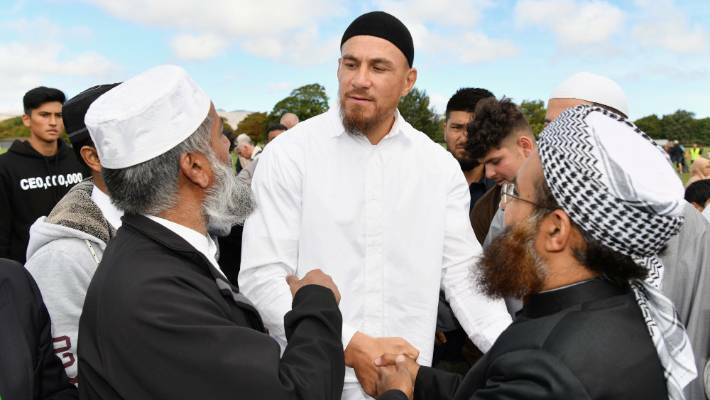 Sonny Bill Williams converted to Islam while living in France. “When I first made my Shahada (profession of faith) my knowledge of the dīn (Muslim way of life) was pretty limited,” he explained. It was his friendship with a local Tunisian family that solidified his belief in “the beauty of Islam,” and ultimately led to him learning more about the religion. “It was a family of four or five (children) and they had a one bedroom house and they all slept in the lounge room,” he explained. “The contentment, the solace, the happiness that they had in that household… was beautiful… so that’s how I really started getting into it (Islam),” he explained. Illiams also opened up about how much it meant to have his mum convert to Islam in the week after the Christchurch mosque terror attack. “It was very very special,” he said as he wiped away a tear. “That’s the beauty of Muslims is that we see this dunya (world) as an attachment. We’re just passengers passing through and inshallah (God willing) we stand in Allah’s grace. And that’s been my mindset for years. “I’ve not always been perfect and I’ve had always human frailties but I strive. I strive to better myself, and humbly I have a beautiful wife, I have beautiful children. Yes we make mistakes, but in tough times, in stormy weather we have our purpose. We have our shining beacon. “I’m so blessed that my mum has seen that … She’s just seen how its transformed our lives,” he said, referring also to his older brother John who converted to Islam years ago. “The hardest thing about the tragic events (in Christchurch) … is that for me … having to leave home and having my wife cry, knowing that she’s upset and she’s scared because she is a Muslim, it’s such a sad feeling. 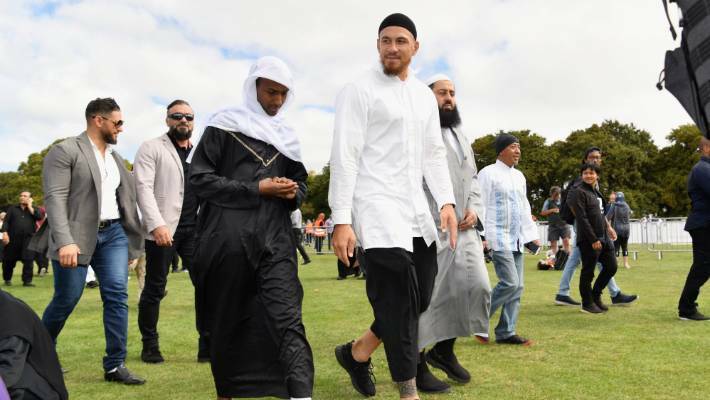 “Finding acceptance in a community where a lot of people struggle to understand Islam has been difficult for Sonny Bill, but he has done his best to demystify the religion. “The hardest thing for me is I live in a society where the majority are Christians or Catholics. Our Island brothers and sisters … we have a strong religious background. He finished with a plea to the non-Muslim community. “We love you. We just want to be accepted like you guys want to be accepted.